"Passion fruits and Lychees from Reunion sold well for Christmas"
Exotic fruits always sell well during the colder season. Even in this specific segment, however, there are huge differences in quality, especially between those shipped by plane and by boat. For many years, French brand Philibon has stood out as for high quality fruit from different growing regions of the world. 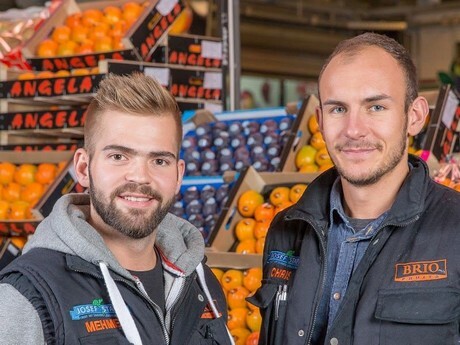 The German wholesale trade continues to appreciate these goods, says Uwe Sakowski from the firm Josef Stapf, that offers these air-shipped goods at their stall at the Frankfurt Fresh Produce Center. 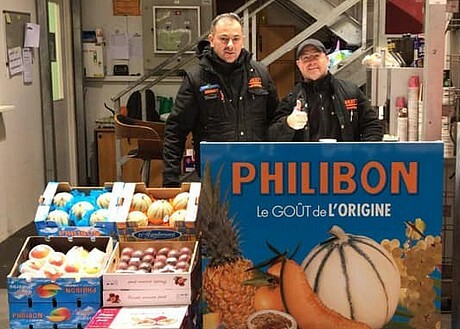 The wholesaler has been marketing the Philibon brand for about 25 years now and since then sales have remained largely stable, according to Sakowski. "Now, in winter time, we offer only air-shipped goods, which are significantly more expensive than conventional goods. Over the whole year, it is mainly Charentais melons that we sell in large quantities; we can also offer these year-round. Only once a year, from late October, when the French and Moroccans have completed their campaigns, there is a period of about four weeks when there is no supply. Then it starts all over again, with goods flown in from Senegal." What specifically distinguishes Philibon melons is their taste and their impeccable skins. In addition to the premium goods, there is also the Flamboyant brand: "Under this label, standard commodities are sold. Since this product sometimes has a defect on the skin, it is cheaper by €1 per kilo. In terms of price, these products have been very stable over the recent years: Flamboyant is selling at €3.50, Philibon is at €4.50 to 4.75. The common Charentais melons that are currently sourced from Brazil are much cheaper - around €2 to 2.50 per kilo, but in terms of quality they are at a much lower level." Apart from melons, fresh pineapples are also being traded under the Philibon label. Currently, the market is a bit difficult. "Today, of course, there are many smaller or single households, which is why the classic calibers are reduced by about 2 kg. At the same time, there is growing interest in mini-pineapples, weighing around 500 grams. "Passion fruits and lychees from Reunion Island were also marketed at Christmas, but their campaign ended at the turn of the year. "Bundled red-colored lychees saw great interest. Even passion fruit in different varieties and colors would sell quite well. Unfortunately, both products are only in our assortment around late November." Finally, the Philibon product line also includes Peruvian-grown mangoes of the Kent variety. Both in terms of appearance and taste, this product is also of excellent quality. "Compared to other air-shipped mangoes, they are similarly priced. In addition to Peruvian products, fruits from other origins are also on offer, but these are not of the Kent variety. We had red Keo mangoes from Cambodia last week, for example." 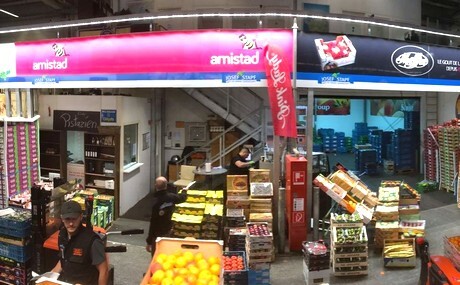 Wholesale market Josef Stapf is located at the Frankfurt Fresh Produce Center and primarily sells to specialist retailers. During the summer months, the company primarily supplies German fruit (cherries, berry fruit) and asparagus from German fields. During the winter season, fruit specialties and Spanish vegetables are sourced from a reliable supplier base abroad.